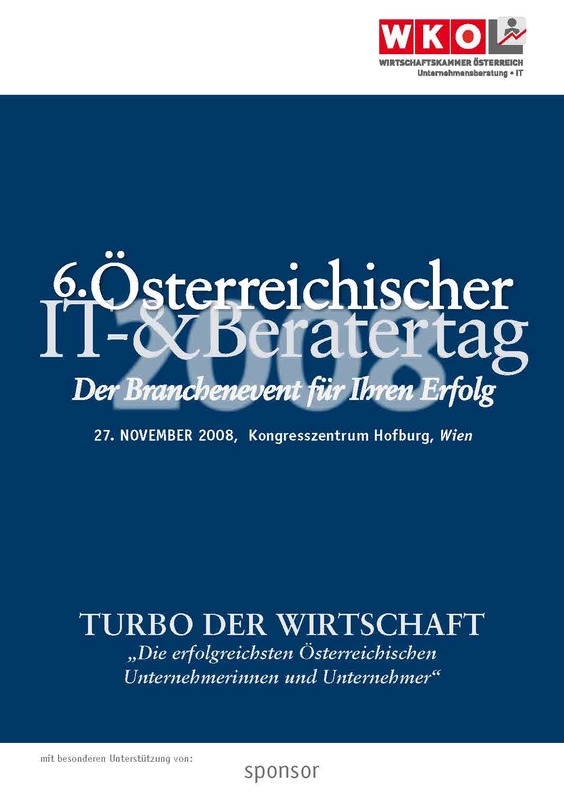 Since more than 10 years the important industry event of the „Österreichische IT- & Beratertag”, the Professional Association of Management Consultants and IT Experts, abbreviated UBIT, which is the second larges sector of the Austrian Chamber of Commerce takes place every fall in the splendid Hofburg in Vienna, Austria. All the Topics are adapted to the most recent global developments and most urgent economic issues. 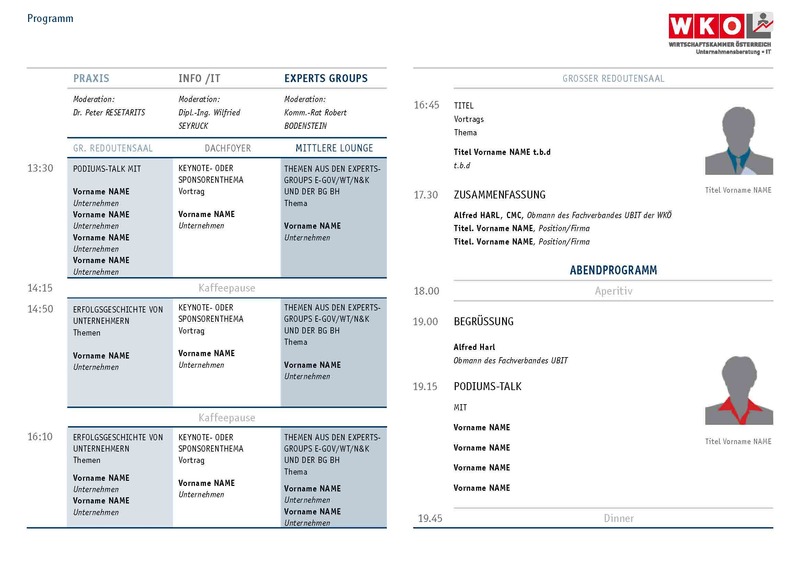 Lectures, discussions and workshops are held by, well known experts of different fields. The Federal Ministers as well as high profile personalities and persons that are important players in the national and international economic and cultural scene are invited to the event. The venue fills up very fast by founders and experts that want to learn about the newest trend, make new business contacts and meet colleagues or learn something new about their market. 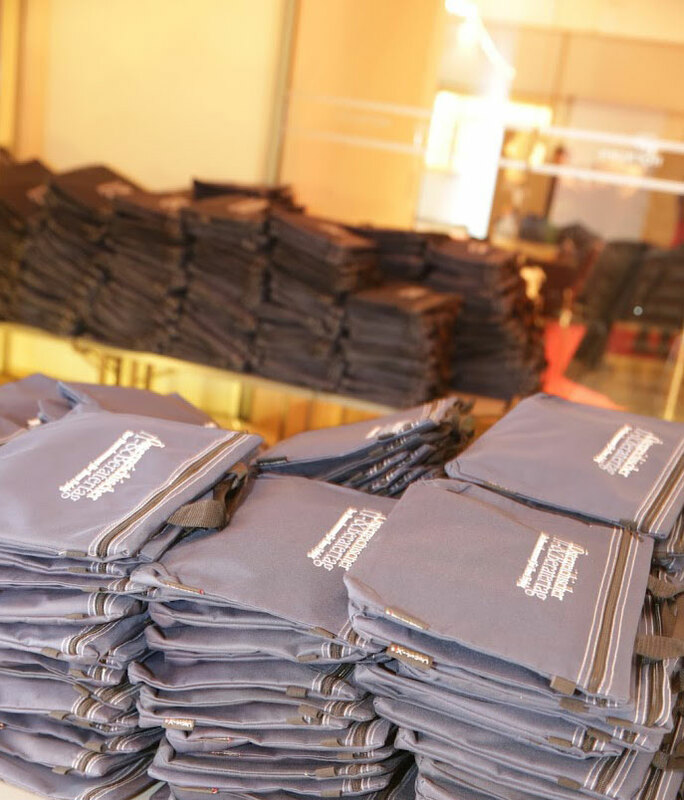 Annual awarding of the State Prize for Consulting is as well every year part of the event. 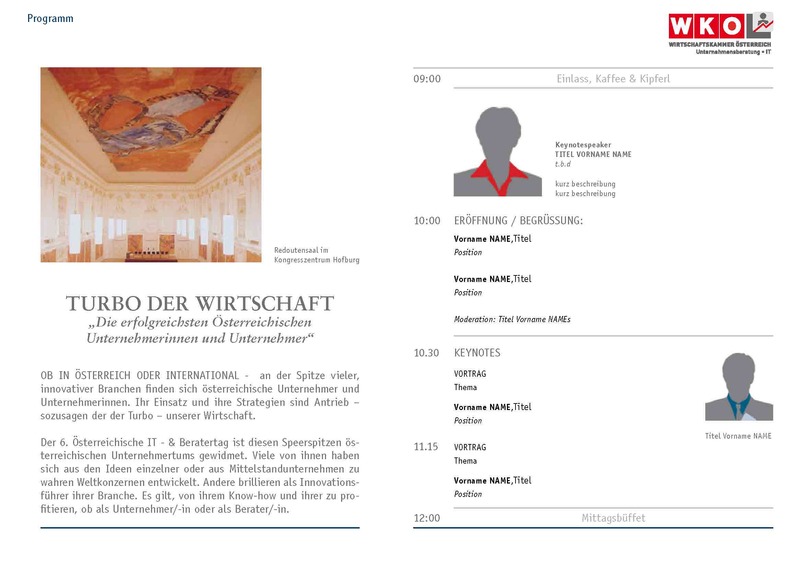 Ideator and Patron of the event is Alfred Harl, the Chairman of the branch Consultant in the Austrian Chamber of Commerce. Atelier Zichy was invited in 2007 to create the new Corporate Design for the re-launch of this event. 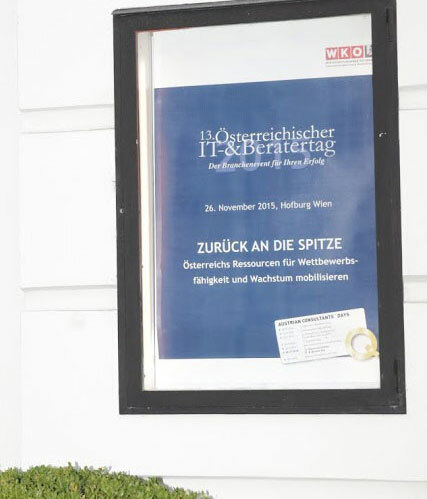 The logo oft the ÖSTERREICHISCHE IT- & BERATERTAG is the key visual of the entire event therefore it was very important to make a very formal and orderly Impression in all elements that are part of the Corporate Design. 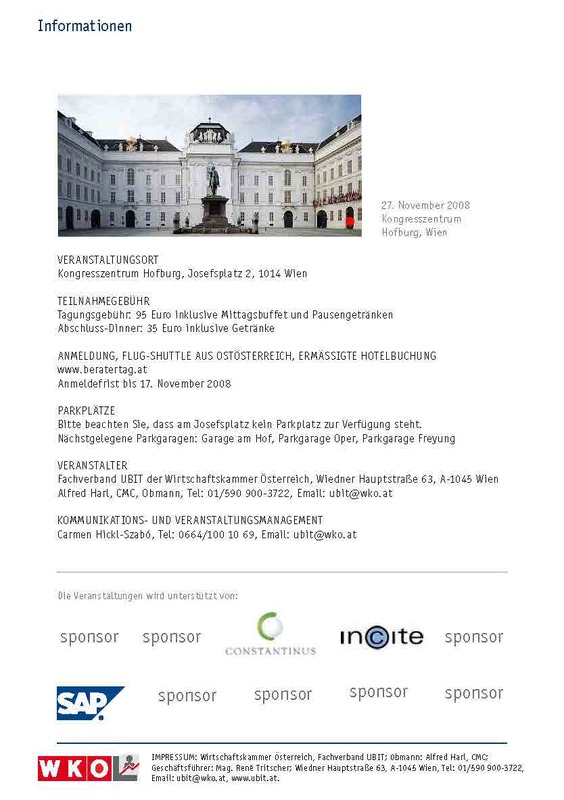 In accordance with the wishes and concerns of over 65.000 members of UBIT, the second larges sector of the Austrian Chamber of Commerce it is very important during this annual event to discuss the most important issues of this industry and if needed talk about new options and alternative paths for of this market place. 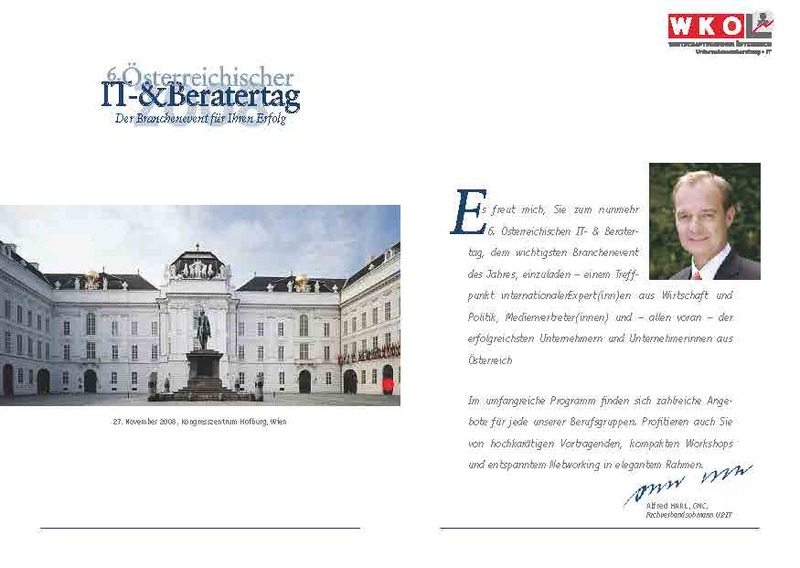 From the Austrian Chamber of Commerce and clearly stipulate the fact that the trade association is a reliable Partner with tips and tricks for its members throughout the whole business year. The Logo and choice of colour stand for accountability, consistency and for forward thinking. 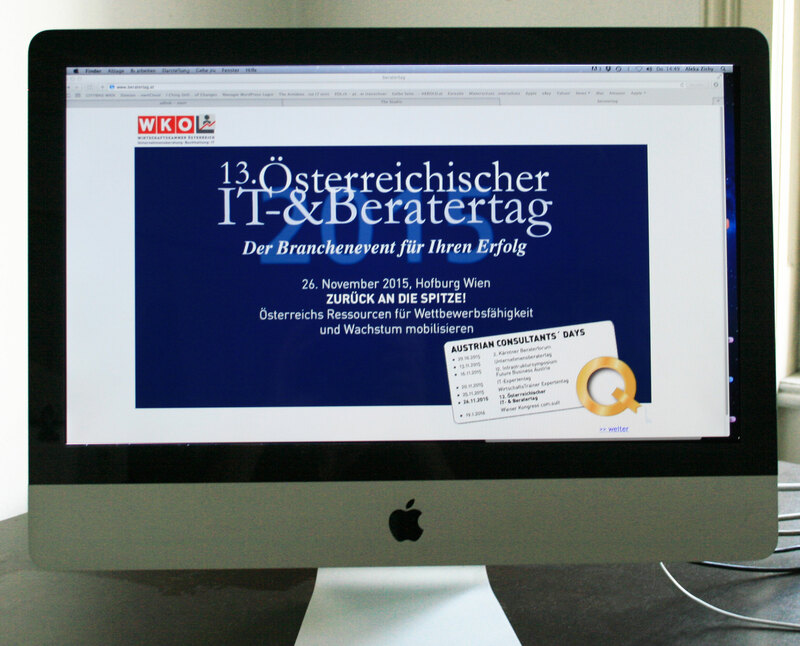 Considering the requirements the Atelier Zichy created and produced in cooperation with the Austrian Chamber of Commerce a formally independent Corporate Design for the ÖSTERREICHISCHE IT- & BERATERTAG, the Professional Association of Management Consultants and IT Experts, abbreviated UBIT. 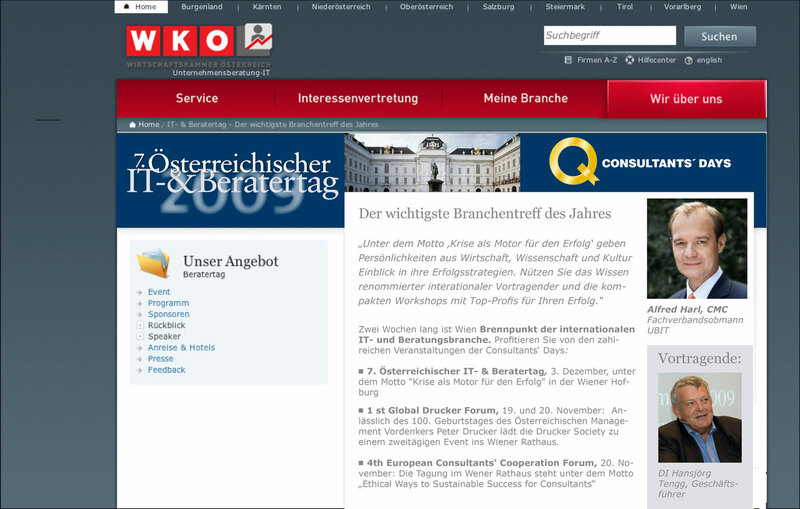 Based on which is the entire appearance that includes print and online and is applied in on going promotional activities; including merchandising and web appearance within the platform of Austrian Chamber of Commerce called WKO.